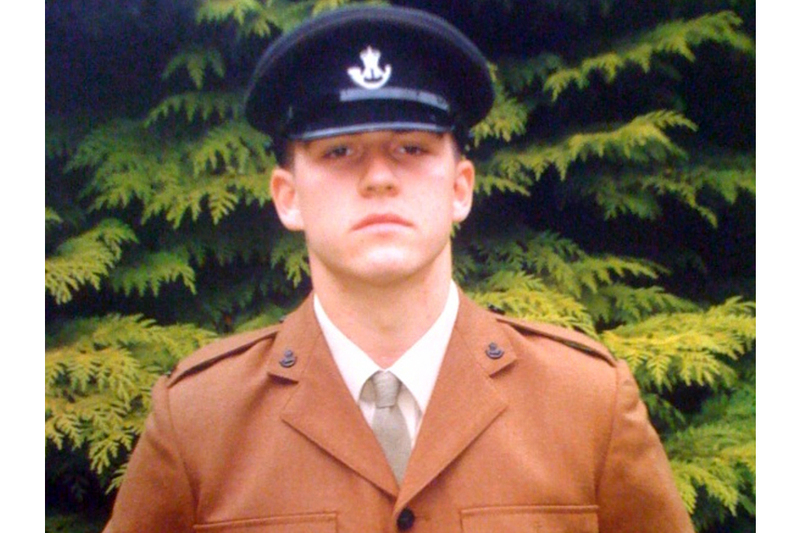 It is with great regret that the Ministry of Defence must confirm that Rifleman Philip Allen from 2nd Battalion The Rifles (2 RIFLES) was killed in Afghanistan on Saturday 7 November 2009. Rifleman Allen was killed following the detonation of an improvised explosive device near Sangin in central Helmand province. Serving with 4th Battalion The Rifles (4 RIFLES) in the 3rd Battalion The Rifles (3 RIFLES) Battle Group, Rifleman Allen had remained behind as continuity from a 2 RIFLES tour and was working with the Fire Support Group that was operating out of Forward Operating Base Inkerman. His platoon was conducting a routine reassurance and ground clearance patrol providing security for local Afghans. Rifleman Allen, aged 20, was born in Dorset. He attended school in Dorchester and joined the Army in spring 2009. He completed his Phase One and Two training at the Infantry Training Centre in Catterick and joined the 2 RIFLES Battle Group in Sangin shortly after passing out from training. He was involved in numerous patrols in northern Sangin as a Rifleman within a Fire Support Group. 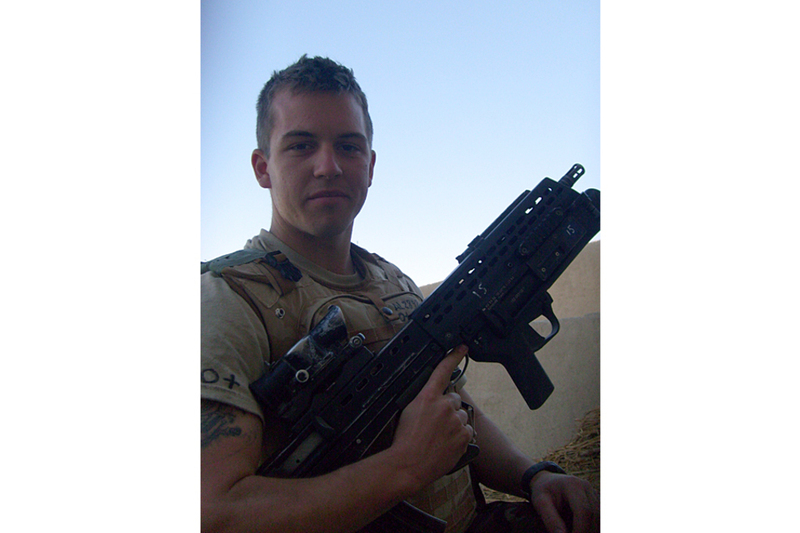 Rifleman Allen, known as Phil to family and friends, was a fit, robust and motivated young Rifleman who had already impressed those he worked with and for with his ability and enthusiasm. Although only at the start of his career, it was evident that he had a bright future ahead of him. I would like to thank all of the soldiers who have served with and knew Phil. He was proud to have been a soldier in 2 RIFLES and to have served on tour with them in Afghanistan. Rifleman Philip Allen had been with the Battle Group for only a few short weeks but had already made a lasting impression. His youthful exuberance made him immediately likeable to those who he worked with and his ability made him a valued member of a tight-knit team. A loyal friend, a committed Rifleman and a strong and capable soldier all made him a shining prospect for the future. His loss will reverberate throughout the RIFLES family but our loss cannot be measured against that of the family and loved ones from whom he has been so tragically taken. Our thoughts are with them at this most difficult of times. Rifleman Philip Allen was top of the gang that joined straight from Infantry Training Centre Catterick just three weeks before the end of the 2 RIFLES tour. He was desperate to stay on and get the medal and a day-sack of operational experience. Rifleman Allen was a front runner in this and was a dynamic, full-on, tough Rifleman who made an immediate impact on all ranks in his company. He had a huge appetite for soldiering, physically immense, and he had carried a big piece of electronic countermeasures equipment and all of the batteries for 48 hours on the last big Battle Group operation. He is sorely, sorely missed but we know that the loss is nothing compared to his family from whom he has been so tragically taken. They are front and centre of our thoughts and prayers. I have only known Rifleman Allen a few short weeks. I extend my deepest sympathy to his family and friends who had the privilege of knowing him far longer than I, and will feel his loss most deeply. He was one of a number of Riflemen from B Company, 2 RIFLES, fostered by my company to gain operational experience. He wanted the respect of his peers and the experience to back it up. I introduced myself to him when we took over and we sat and talked for a while. I was struck by his positive attitude and his desire to be part of the team. He seemed unfazed by being attached to my senior platoon, the Fire Support Group; it might have been the exuberance of youth. He was not short of exuberance. But his three weeks of Afghan experience was more than enough for him to be invaluable to them. Rifleman Philip Allen was a man of great courage and fortitude. We are all too keenly aware of the threat we face here, but it takes a man of particular character to take his turn as lead man on patrol. Over the course of the last weeks Rifleman Allen has proved capable of that task innumerable times. There is no greater testament to the positive impact he has had, and the kind of man he was, than pain of the loss we now feel. He was the kind of Rifleman you want on your team. Rifleman Allen’s arrival in my platoon was a blessing. He had been operating with 2 RIFLES for three weeks in Forward Operating Base Inkerman, which was three weeks more Afghan experience than I had. It was clear from the start that his experience and positive attitude was nothing less than a massive bonus to my platoon in its early days on tour. Everything he did was to an amazing standard for a soldier so young. He was such an asset to the platoon that I did spend many days trying to ‘nick’ him from 2 RIFLES and I spent many hours trying to persuade him to stay for a full tour and come back to Bulford as a fully-fledged member of my platoon. We have lost an outstanding Rifleman, a valued and close friend, a brother-in-arms. Rifleman Allen will be sorely missed but never, never forgotten. Rifleman Allen was a dream new Rifleman. He came to my Fire Support Group on the last lap of the 2 RIFLES tour. He was straight on the money, fit, superbly keen and always going the extra mile for others. He was an ideal Rifleman, a joy to work with. He loved his job, was really keen to stay on, and we will miss him very much. My first memories of Phil Allen were when I met him in training at the Infantry Training Centre Catterick. We were both in the same section and became good friends. He was a very talkative person and was always at hand if need be. He got the nickname ‘Victor Meldrew’ by the end of training as he did like to have a good moan about this and that. Phil will be remembered as being a bit of a poser whenever he came face-to-face with a camera. Phil was also one for impressions, taking the mickey out of anyone, regardless of rank. All said and done, Phil was a top soldier, he was extremely professional in all that he did. He will be truly missed. Phil was a very good mate and good work colleague; he was both mentally fit and physically determined. He died doing what he loved and was proud to be a Rifleman. He was a dedicated family man and always talked about his fiancee Karina, how he couldn’t wait to get home to see her. He always spoke of how he would surprise his family by just turning up at Christmas after finishing his tour of Afghanistan. I went through basic training with Phil and he was a good team member, always on top of his admin, but sometimes we had to admit that we thought he was 60 years old, not 20, as he used to moan and groan! That’s where his nickname ‘Victor Meldrew’ came from. He was a very keen reader - he must have owned every Chris Ryan and Andy McNab book going, and he was able to do an impression of anybody. We trained together every day in the gym at the Forward Operating Base. Phil loved to play football but it was a shame that he had two left feet and most of the time looked like he was playing rugby! Phil was a proud soldier and one day wanted to join the Special Forces. A true friend. The first day I met Phil Allen was back in February this year when he was a member of my section in Phase One training. He was a good lad and I remember him always being on the phone to his girlfriend. He never seemed to have anything to say about football but one day came out with all the facts about the game and was an Arsenal supporter, and he was looking forward to watching England v Brazil and kept reminding us it was on! Phil loved his camera, loved taking snapshots, and he was gutted when it broke a few weeks ago. He even tried taking it apart and cleaning it with cocktail sticks to get the sand out of it - he was such a poser! Phil wasn’t one for holding back on things, if he had anything to moan about he made sure we knew about it. He wasn’t really one for reading until we went on a battlefield tour, when he started to read, and after that we couldn’t get him to put the books down. I was very saddened to learn of the death of Rifleman Philip Allen, a young soldier who had achieved so much and impressed so many people during his brief time in the Army. His death cuts short what his commanders tell me would have been a successful career and very bright future in the Armed Forces. My thoughts and sympathies are with Rifleman Allen’s family, friends and colleagues.